Comments: Broadleaf deciduous tree native to Japan, Korea and Taiwan. Member of the Ulmaceae family (Elms) and shares many characteristics with the American Elm and the Chinese Elm. Ovate 2" leaves with serrated edges that redden in the Fall and scaly light gray bark that peals off to expose an orange under coat. 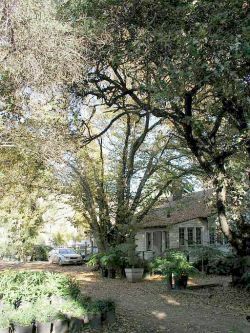 Broad spreading tree with a mature height of 50' to 60'. Champion Tree--This is the largest tree of this species in the state. This specimen has been nominated for State Champion status by Nelson Kirk.